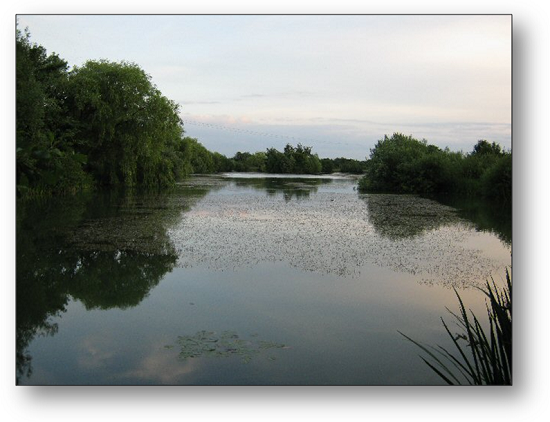 Beggars Hall is a 2.7 acres lake set in peaceful countryside yet has easy access from the M11 at Junction 8. The fishery has an island at the south end of the lake and twenty-five pegs offering a variety of different features and tactics.Swims on the dam bank are steep and care should be taken particularly in the wet. The fishery is open all year round. Species: Tench, Mirror & Common Carp, Crucian, Bream, Roach, Rudd, Gudgeon & Perch. From the M11 Roundabout (Bishops Stortford) take the B1256 (old A120) to Dunmow. At the Esso station on the left take the road opposite to Great Hallingbury and follow for a mile or so until you get to the "The Hop Poles" pub. Turn left here and take the 3rd lane leading to Beggars Hall (it does say private road but we are obviously allow to use it!). Follow the road to the house and the lake is to the right. Park on the grass next to the field on the left ... there is a sign post! Beggars Hall remains one of our member’s favourite venues with many members catching a good number of quality carp on their visits. The carp are also showing up in the match catches at Beggars when the venue is under more pressure with over 50lb needed to win a match with at least 10 carp needed to be in the frame. But this is not just a carp water in fact when your float goes under you are not really sure what will be on the end of your line. There are good Tench, Bream, Crucian Carp and big Perch as well as the resident shoals of Roach and Rudd. Give it a go and see what pulls your float under! The lake is fishing very well and is our most popular fishery at the moment. Big bags of silvers and carp are possible on the right day. The average size of carp has increased with many upper singles. Most baits and methods work, favourites include sweetcorn, banded pellet, and meat. The tench are showing and can be caught along with plenty of good sized silver fish on maggot both up in the water and bottom fishing waggler or pole. If the carp move in have a second rod set up with stronger tackle to keep the carp away from the weed and snags and prevent breakages. If the fish are feeding confidently they are not tackle shy. Some good catches of carp and big roach using open end feeder and banded pellet reported. 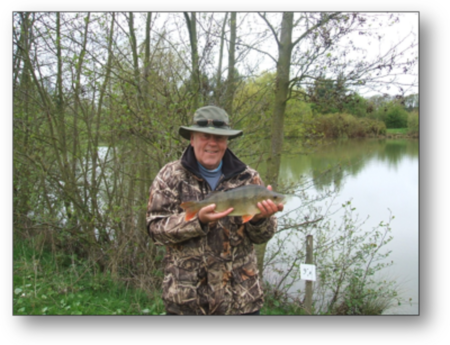 Since the warmer weather and increased fish activity the lake is now fishing very well including multi catches of small tench reported. The carp are fighting hard and if targeted balanced strong tackle will be required. Most methods work, surface baits and margin fishing particularly in the evenings proving successful. Carp and silverfish have been caught throughout the winter months, anglers have struggled when the water has been clear but caught well when coloured after rainfall. When clear the fish fed best in low light conditions particularly the last few hours before dark. Since the weather has warmed up the fishing has improved dramatically. As the carp have become more active the water has coloured up nicely. A good catch of quality roach, rudd and perch reported using a puddle chucker cast to the middle of the lake, fished shallow with maggot as hookbait. Good carp to 7lbs reported as well as good bags of small tench to 1.5lb. The perch fishing continues to be excellent, the biggest this season a 4lb 8oz but fish to 3lb also being caught. Best bait worm, the best time for a specimen fish is at dusk. The small tench introduced last year are being caught readily and are increasing in size. In the summer floating crust accounted for many carp reported up to 12lb. Plenty of carp to bottom baits. There are some good sized rudd and roach to the pound mark and these can be caught readily by pole or waggler fishing. Hemp and tares sorts the bigger fish in the summer. Small cubes of flavoured luncheon meat gets you mixed bags of carp, tench roach and rudd. Sport is slowing during the colder weather but the fish often feed well in the last few hours before dark. As this water is open all the year around the fishing will improve as spring approaches and the water warms up.